KINESSENCES Blondes products have been formulated with OES+ technology, an infusion of 5 high-purity ancient oils from each one of the 5 continents and very important natural protective emollients to produce the optimum color. An olive oil derivative, it is a very healthy option for the scalp. Rich in Omega 9, its high nutritional content conditions and leaves a silky-smooth feel. Additionally, it is an excellent protective agent for the hair and scalp during the coloring process. Beeswax forms a perfect container of natural honey. It contains the minerals and nutrients necessary to protect the hair structure and maximize shine. Its emollient properties nourish and smooth the skin and scalp, as well as preventing the hair’s deterioration and aging. Hair discoloration up to 7 shades. Developer cream available in 4 concentrations for any color or discoloration service. Tonalizer without ammonia to neutralize or personalize the blonde. Special acid shampoo post-coloration that helps protect and maintain color. Treatment according to hair type and maintenance kits at home. Apply the mixture to dry hair and distribute generously. Divide the hair into seven sections. Start with the lower part by tracing thin veils and drawing a very notable “V” in the middle. The most important thing is to avoid the color contrast between roots and tips, which is why you must blend well. 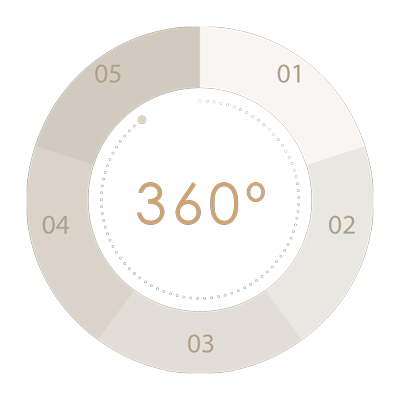 Exposure time will depend on the quality of the hair and the level of bleaching desired, which will vary between 20 and 50 minutes. Check hair every 5-10 minutes during the bleaching process. 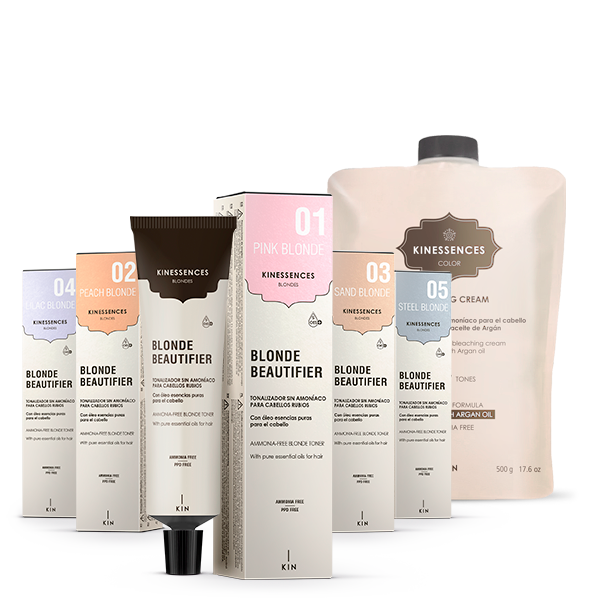 Apply KINESSENCES Blonde Beautifier to tone the bleaching or create personalized blondes. Once the exposure time is completed, rinse thoroughly with warm water and wash with pH acid shampoo, such as Equilibrant Shampoo. Continue with the most appropriate KINESSSENCES treatment according to hair type. 6 Vol. (3,6%) Tone without lifting the natural base. 12 Vol. (3,6%) Maximum intensity and color duration. Up to 1 level of lift. A 1:2 proportion mixture may also be used if a lighter, shorter-lasting color result is desired. Apply to dry hair. Spread a sufficiently thick, even coating to the entire length of the hair. The exposure time will vary between 5 and 30 minutes, depending on the desired result. Refer to the color guide to see the different results according to exposure time and base level.